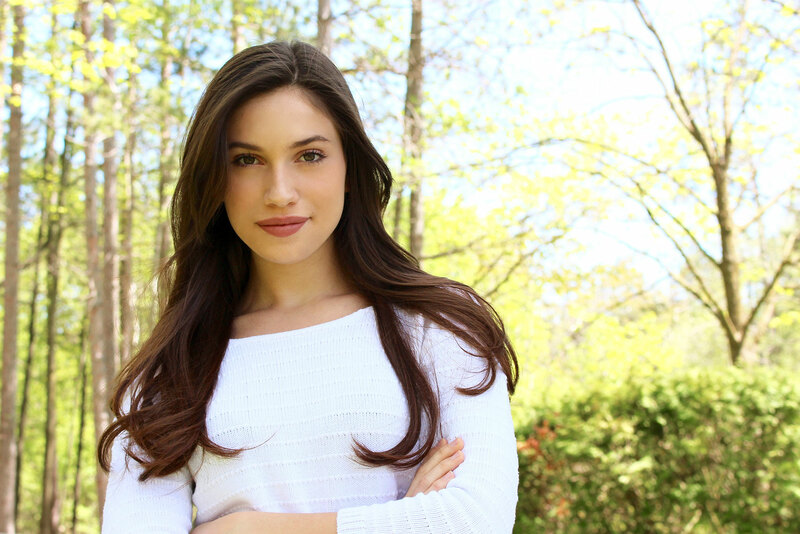 Rachel Parent is an Environmental & Safe Food Youth Activist and Speaker. Rachel’s passions include social justice, animal rights, responsible consumption, and environmental protection. In 2012, she founded Kids Right to Know, a not-for-profit organization dedicated to educating youth about environmental justice and food safety, challenging kids to claim their right to know what’s in their food, and demanding proper food labeling in Canada. In 2014, Rachel spoke at TEDxToronto about Why you have the right to know what’s in your food. Here are Rachel’s tips for how to make better food choices for your health and the planet. We’re constantly hearing the word “GMO” in the media but what are GMOs? To simplify things, GMOs are genetically modified organisms. This is where they take DNA from one species and insert it into another to introduce a new trait. The main traits are herbicide-tolerant crops, which lets the farmer spray weedkillers (more specifically Roundup) directly on the crop without killing it, and pesticide-producing crops, where the plant produces its own internal pesticide. With pesticide producing crops when an insect attempts to eat the genetically altered plant it will die from ingesting the plant’s internal pesticide called BT, and we’re constantly consuming this too. The most common genetically modified crops are corn, soy, canola and sugar from sugar beets. GMO crops also include cotton, Hawaiian papaya, zucchini and yellow squash, and more recently the GMO apple, alfalfa, potato, and salmon have been approved all without proper labelling, not allowing consumers the right to know whats in their food. GMOs have been linked to a variety of issues for our health and the environment, including increased pesticide and herbicide use. Many people ask me what they can do, or how they can avoid GMOs, the best measure of action is to read labels and avoid the above ingredients unless they are labelled organic or non-GMO (Look for the non-GMO verified project label to ensure the product is not made with genetically modified ingredients). I found out about GMOs when I was quite young and was immediately concerned about the implications for out environment and health, but as I dug deeper into our food system I found out more and more about the chemicals being sprayed alongside them in our agriculture system. An example being Glyphosate, which is the active ingredient in Monsanto’s Roundup, the most widely used herbicide on the planet. It’s been in use since the 1970’s, and while glyphosate was initially only sprayed on weeds, with the development of genetically engineered glyphosate-tolerant ‘Roundup Ready’ crops (corn, canola, soy, sugar from sugar beets), the herbicide is now sprayed liberally on food crops. Its use has doubled between 2001 and 2007. Over 300 million pounds of glyphosate are applied each year in the U.S. alone. Glyphosate is also used as a pre-harvest desiccant. This sounds confusing but all it means is that farmers spray crops with glyphosate to accelerate drying, production, and profit. This practice is used on crops such as wheat, lentils, soy, chickpeas, canola, corn, and on about 70 other crops. Just about every grain used in cereals and baking goods unless organic. Any time you have something as simple as a slice of bread, bowl of cheerios, soup, or a pizza slice you’re consuming toxic glyphosate residues. So what’s the real concern? In 2015, the World Health Organization announced that Glyphosate is “probably carcinogenic to humans.” It has also been linked to kidney disease, liver damage, non-Hodgkin’s lymphoma, and many other illnesses. In recent news Monsanto, the creator or Roundup was sued by DeWayne Johnson after evidence revealed the Roundup had caused his non-Hodgkin’s lymphoma. DeWayne Johnson won the case and has been awarded a 289 million dollar compensation. Glyphosate is also an antibiotic, having been registered as such by Monsanto. A study published by the American Society of Microbiology’s journal mBio linked glyphosate with antibiotic resistance. It was found to change the way bacteria responded to numerous prominent antibiotic drugs that are widely used to treat a range of deadly diseases. The research findings indicate that glyphosate’s antibiotic properties are making us vulnerable to many diseases by undermining the effects of prescribed medicines. Given the widespread use of glyphosate, this substance may be playing a large role in the worrying rise in antibiotic resistance we are now witnessing. With so many more studies and cases reaching the public about the concerns in our agricultural system, such as glyphosate, watching what we eat has become more important than ever. So what can you do? If possible, try to buy organic. While it can be more expensive initially, the food has been proven to be more nutritious, better for the environment, and healthier overall due to lack of chemicals. There are also many ways to eat organic on a budget while still enjoying all of the benefits, and during seasons that allow, you can grow your own food. It can be really difficult to buy healthy foods when going out to restaurants or ordering take out. Most restaurants use GMO oil such as Canola or vegetable oil (which typically contains “Roundup Ready” corn, soy, and canola) in their meals, it has become almost impossible to avoid. When you make real whole foods at home you will not only save money in the long term but will nourish your body with proper nutrients, while avoiding GMOs and ensuring you know exactly what’s going into your food. About 70 percent of the processed foods on grocery store shelves contain GMO ingredients. In addition, many processed foods contain high levels of sodium, sugar, toxic chemicals, preservatives, or additives. I have had the honour of getting to know so many incredible farmers who are looking out for the health of consumers and taking care of the environment with regenerative and organic agriculture practices. We need to appreciate the difficult and important work that these farmers do to protect the integrity of our seeds and our food. Get to know your local organic farmer, find out how you can help, get involved, and volunteer! By doing so we are all shaping our food system and we are supporting an uncorporatized system that benefits our health and our environment for generations to come. We all know that factory farms and CAFOs (Confined Animal Feeding Operations) contribute greatly to global warming and climate change. A large percentage of the green house gas emissions and carbon emissions come from these animal farms and damaged soil from our agriculture system. By cutting down on meat and animal by-products we can all contribute to mitigating climate change and stopping the mass amounts of emissions being released. While I don’t expect everyone to become vegetarian overnight, every decision makes an impact on the planet. What most people don’t realize is that not every plant-based diet is created equally. Vegetarianism does not provide a “pure and simple” solution to the problem. I’m a vegetarian but it’s not enough. If you are vegan or vegetarian but you’re eating genetically modified soy, you are still unknowingly contributing to environmental degradation. Much of the genetically modified soy comes from South America, more specifically Argentina and Brazil. A large percentage of this soy goes toward animals in factory farms. The Amazon and surrounding lands in South America are under increasing pressure from biotech corporations. Mass deforestation is taking place to clear the ground for single crops like soy which are then being fed back to factory farmed animals. What’s happening in Brazil and other areas is the creation of green deserts — monocultures of soy and nothing else. If we eat and support this soy that’s killing thousands of species and damaging our very existence, then we’re inadvertently just as complicit in all of this as if we are eating the beef fed on Brazilian soy. Industrial agriculture is all about exploiting nature. It’s absolutely responsible for driving deforestation, for pushing monoculture, for loss of biodiversity, and for species loss. We’re losing species we’ve never even heard of. While this may seem bleak, there’s so much that we can do. Every decision we make whether it be clothing, cosmetics, or food impacts the ecosystem that we call our planet. In other words every bite counts. When you go to the grocery store the decision between an over processed, genetically modified food drenched in pesticide or organic produce changes the world we leave for generations to come. It is up to us what world we want to see, and it all starts with a single bite. To receive other great guest blogs written by inspiring people like Rachel directly to your inbox, sign-up for our mailing list! Rachel Parent is an Environmental & Safe Food Youth Activist and Speaker. Rachel’s passions include social justice, animal rights, responsible consumption, and environmental protection. In 2012, she founded Kids Right to Know, a not-for-profit organization dedicated to educating youth about environmental justice and food safety, challenging kids to claim their right to know what’s in their food, and demanding proper food labeling in Canada.